Welcome to another fun week double duty craft link parties: Craftastic Monday + Kids Can Craft! And this week I would love to see all the Halloween/Fall crafts you've got. Even if they're not recent, link 'em up! 1. I've got LOADS of Halloween stuff & fresh, new projects to share with you starting this week. 2. I'm finally done with all my Halloween shop orders!! Obviously reason #2 is responsible for reason #1 being possible. I can't tell you how ecstatic I am to be able to work on projects of my own for the first time in a long time. Don't get me wrong, I am very grateful for my shop business, but after making the same things over and over for other people it feels SO nice to have time to do all the creative things I've been longing to craft (and finally get started on Halloween costumes for my own kids!). Better Together shared these cute bat specimen pillows - perfect for this time of year. 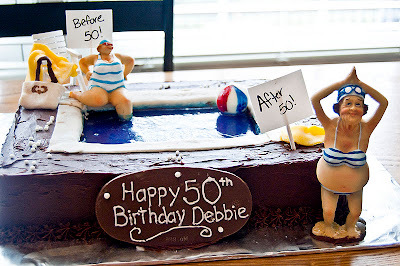 Check out this amazing birthday pool cake by Ohh Baby Designs. Makes me want to jump in and eat it!! Whimsical Creations shared her results using a tutorial she found for a budget friendly & unique wire pumpkins. Cute and chic. Bowl of Cherrys showed this fun play mat she made using a hula hoop! 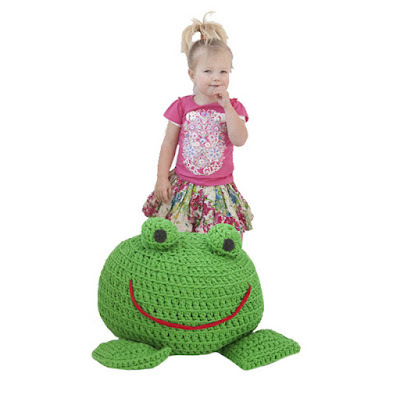 Annemarie's Crochet Blog linked up how to make this adorable crocheted frog footstool. I REALLY need to learn how to crochet asap!!! And from the Kids Can Craft Party, the "Pick of the Week" was CraftLinky.com's paper plate bats. Kids will love making these and they're perfect for Halloween decorating too! what cute crafts! can't wait to give some a try! Hi! Thanks so much for hosting and for featuring the crochet Frog Footstool! Thanks for hosting and thanks for the feature!! What a fun surprise!! Thank you for featuring my bat pillows! You just made my day. Thanks for hosting. Merci de partager, inviter et de divulguer de merveilleuses idées.